John Owen’s short work A Brief Declaration of the Doctrine of the Trinity and also of the Person and Satisfaction of Christ, published in 1668-9, (in Works, II) at a time when Dr Owen and his wife Mary were resident in the home in Stoke Newington of the former Cromwellian General, Charles Fleetwood, and his wife Mary Hartnopp, the widow of Sir Edward Hartnopp. Owen was busy with others such as Baxter and Manton in devising ways of forming dissenting unity and presenting a united bid for toleration to the King. He had no pastorate at this time, but following the Declaration of Indulgence in 1671 limited toleration was granted, though not because the nonconformists were united, for they were not. Owen was for a short time after this the pastor of a small congregation which fairly quickly combined with the recently-deceased Joseph Caryl’s larger one. The membership of Owen’s congregation is a roll call of the upper crust of the former Puritan establishment; no doubt considering themselves a Puritan government in waiting, just in case the Lord in his providence turned the tide. But of course they waited in vain. The tide never turned. Owen died in 1683. In the work of Owen’s that we are about to consider he has his eye on another strand of what proved to be a cause of the Puritan eclipse, on the rise of theological rationalism on the one hand, and on Biblicism on the other. Theological rationalism, in the form of Quakerism and Socinianism, with its intolerance of revealed mystery, and the Biblicism of the Socinians and of the Cambridge Platonists, which otherwise did not have much in common. The Cambridge Platonists, such as Benjamin Whichcote, the Westminster Divine Anthony Tuckney’s pupil, stressed the fallibility of human reasoning about Scripture and were contemptuous both of those who promoted unity of a confessional kind – for were not confessions mere human products? - and who also promoted doctrinal and practical preaching. For does not preaching go beyond Scripture, the preacher using his own fallible words? So the Cambridge Platonists held that Protestants should unite around the very words of Scripture alone, and the use of ‘right reason’ to establish fundamentals, such as the exisence of God and of moral obligation, and regard any interpretations of Scripture, in the form of confessions or in preaching, as necessarily secondary, inferior and fallible, the mere expression of opinion. This puts a rather different gloss on William Chillingworth’s famous saying that ‘The Bible, the whole Bible, and nothing but the Bible is the religion of Protestants’, though Chillingworth was not himself a Cambridge Platonist. In this work Owen was, in effect, concerned to deny this Cambridge Platonist position, though he does not mention them by name, but there is except one reference to ‘right reason’, preferring to lambast the Socinians. He sets himself to walk a tight-rope by upholding the place of theological reasoningwhile denying the authority of human reason in religion. But the tide of anti-Puritanism that flowed as the result of the combined pull of Quakerism, Socinianism (or Unitarianism) and of Cambridge Platonism, was irresistible. Puritanism as a theological movement was swept away. Baxter’s church building in Kidderminster is Unitarian to this day, as are several of those that were not completely obliterated, and in the early eighteenth-century the Anglican Establishment became largely Unitarian and deistic, as exemplified for example by the case of William Whiston, the translator of the Works of Josephus. In what must have been happier days for Owen, he wrote one in defence of the orthodox account of Christ’s atonement, A Dissertation on Divine Justice (1653) and then a major work against Socinianism, Vindiciae Evangelicae, (1655) . The first was written at the command of the Long Parliament, and dedicated to 'His Highness', and the second was also dedicated to the same man, ‘His Illustrious Highness, Oliver Cromwell’. And as we shall see, Owen was a Trinitarian theologian through and through By 1669, a doubtless chastened Owen wrote this short work, as he tells us on its title page, ‘accommodated to the capacity of such as may be in danger to be seduced’. Not a work of scholastic Puritan divinity, but of pastoral counsel. And, as I shall try to show, a work of value for us. 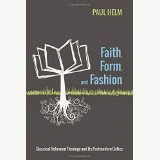 The book deals with the Trinity, the Person of Christ, and Christ’s satisfaction. The whole thing comes to about 70 pages, with an Appendix. In this short talk I shall be concerned only with the first half, focussing on what I believe Owen can teach us, or remind us, about our understanding of the revelation of God the Holy Trinity. Some have said that in the present-day the consciousness of the doctrine of the Trinity is not as great as it should be in evangelical churches; that there is a hesitancy over it in our worship, and in our theologising. It is marginalised, or at least it is not in the front of our minds. If so, this may be because it is thought that the Trinitarian character of God is something of an appendage. God is one, yes, and that is clear and straightforward to grasp, but he is also three persons, and that is more complex. We may even think that the very formulation of the doctrine is a sullying of the pure word of God by the intrusion of ‘Greek thought’. But Owen reminds us that we are called by Scripture to worship ‘the only true God’, God in three persons. My aim is to draw attention to the two main features of how Owen understands the doctrine of the Trinity in relation to Holy Scripture, and secondly to emphasise one consequence of this. Owen’s main idea is to show that God is one God in three persons, Father, Son and Holy Spirit, each having distinct, mutual relations, is not an imposition on Scripture, or a theory about God, a ‘model’ of God as we are fond of saying these days, but it is found plainly in Scripture. Scripture itself is both clear and sufficient in the matter. The Scriptural portrayal of God's oneness and threeness is not misty, ambiguous, or vague. Its ‘express’ data are our basic datum. So the theological formulation of the Trinity in terms of the divine essence and a trinity of persons is not a clarification, much less an explanation, of the mystery of the Trinity. So what is it? Before attempting to answer that question, let us see how Owen treats the Scripture. We are to begin with its plain assertions. It is our ultimate source of information about the Godhead, and our last line of defence. It sets forth a Trinitarian God. In our theological thinking ‘We produce divine revelations or testimonies, wherein faith may safely rest and acquiesce, that God is one; that this one God is Father, Son and Holy Ghost; so that the Father is God, so also is the Son, and the Holy Ghost’. (380) We start with the text. We do not first engage ourselves in terms such as ‘Trinity’, ‘substance’, ‘persons’, ‘properties’ and the like. We engage with Scripture. Owen's approach is a clear affirmation of the sufficiency and especially of the clarity of Scripture on the matter. I suspect that our commitment to Scripture is nowadays more cautious. And so Owen begins to assemble some of the biblical data which (he tells us) ‘he suddenly repeated as they came into his mind’. Thirdly, that Jesus Christ is God, the eternal Son of God. Owen quotes texts of two sorts. First, those Old Testament texts which are applied to Christ in the New Testament. So Ps, 45.6 ‘Thy Throne, O God, is for ever and ever’ is applied to Christ in Hebrews 1.8.; Ps. 110.1. ‘The LORD said unto my Lord, Sit thou at my right hand’ which is applied to Christ by himself, Matt.22.44. And so on. Secondly, New Testament assertions in their own right: ‘Thou art the Christ, the Son of the Living God’ (Matt. 16.16); John 1.1-3 ‘’And the Word was God’ v.14 ‘And we beheld his glory, the glory as of the only begotten of the Father’; John 10.30 ‘I and my Father are one’. ‘Who being in the form of God, thought it not robbery to be equal with God’. (Phil. 2.6) And so on. Finally the deity of the Holy Spirit. Such texts as ‘Baptising them in the name of the Father, and of the Son, and of the Holy Ghost’ (Matt. 28.19). And Acts. 20.28, ‘over which the holy Ghost hath made you overseers’; ‘As they ministered to the Lord and fasted, the Holy Ghost said, Separate me Barnabas and Saul for the work whereunto I have called them' (Acts 13.2), and so on. And these three, Father, Son, and Holy Spirit, are one. Yet they are distinct, each having properties not possessed by the others. In establishing these conclusions from Scripture there is a process of induction used, gathering the evidence, letting it speak for itself. But this process is not, at the same time, unthinking proof-texting. For example, Owen considers the context of the texts he cites. This is most apparent where, in the case of the data proving the deity of the Son, he notes that certain expressions in the New Testament are applications of Old Testament teaching. He recognises the relationship of the Testaments, and the way in which the language of the Psalms and the prophecies is taken by Christ to apply to himself, and by others to refer to Christ. So there is induction, but it is an inductive process that itself involves interpretation and some prior understanding of the scope of Scripture. So that is that, quite straightforward. But then what when this plain teaching of Scripture is assaulted? Then the church has employed other expressions to ‘further declare’ what is ‘necessarily included’ in the doctrine of God. God is one. In what respect is he one? Answer: in respect of his nature, being, substance or essence, ‘His eternal power and godhead’, (Rom. 1.20) (407) So this nature or substance of God is the one nature or substance of the three - Father, Son, and Spirit. (407) Each fully possesses it. So the distinctions that Scripture draws between the three cannot be distinctions between gods: otherwise we must conclude that since there are three persons there must also be three gods; and we become committed to a form of polytheism. What then are these further expressions? We need the term ‘person’ or some equivalent term to denote the threeness. What is their weight, their value? To answer this we shall look in the next posting on what Owen says about Scripture is relation to our reason and to the explication of doctrine. Owen moves from induction to deduction. Charles Hodge is routinely demonised because of the allegedly Enlightenment character of his theology: it is propositional, foundationalist, purely cerebral, objectivist, etc. After a careful reading – or simply a reading – of the first 17 pages of his Systematic Theology most of these claims vanish like the morning mist. And those that don’t, such as the charge of objectivism, serve to save the gospel. This post notes another piece of evidence against the Enlightenment charge. One feature of Enlightenment thought was and is its rationalism. And one way in which that rationalism is expressed in religion is in an attitude to proving of the existence of God. Under the influence of the Enlightenment, formulating and accepting the cogency of some proof or other of God’s existence came to be regarded as a necessary condition of regarding theology as an enterprise fit for intelligent men and women. If no proofs, then no theology. One might expect Charles Hodge, seriously infected as he allegedly was by the Enlightenment virus, to have taken this line. No proofs, no theology. First it is necessary to start with the proofs. If they are cogent, proceed; if none of them is cogent, then one might as well zip up the theological bags. But – once again – Charles Hodge fails to fit the Enlightenment stereotype, as I shall now try to show. However, to be persuaded of this fact it is necessary to engage in the unusual scholarly pursuit of reading, in this case reading some more of Hodge. Otherwise the current evangelical climate is such that there is the danger that one might simply dream up some new fantasy about him. So, we shall need to read; but there is some relief. For one thing, the scholar of Charles Hodge does not have to read very far, and as we shall see he does not have to read very much. Immediately after the first 17 pages of his Systematic Theology, which his critics usually focus upon (though usually without bothering to read them), is Chapter II – Theology. Turning to page 21-6, we find Hodge discussing the nature of natural theology, and avoiding two extremes, that natural theology is useless, and that it is sufficient, for true religion. (I. 21-6) Having provided an assessment of the importance of natural theology, the meaning of ‘nature’, the scope of natural theological arguments, and so on, (21-4), Hodge appeals to Scripture to provide an argument for natural theology. (Although he had previously briefly appealed to man’s being made in the image of God. (22)) He appeals to the Psalms, to Acts 14 and 17, to Romans 1. In other words, natural theology is possible and desirable because Scripture warrants it. Scripture informs us of certain facts that the natural theologian can use in the construction of arguments for the existence of God. Of course, this is a complete reversal of the Enlightenment ordering of things. For Hodge the warrant for natural theology is not simply that clever men have thought up these arguments, or that they ‘work’, or that they must work in order for belief in God to be rational, but that Scripture endorses them. The Enlightenment procedure is: first the proofs, then theology. Hodge’s procedure is; first Scripture, its theological teaching, and then the proofs, an aspect of that theological teaching. (Some people worry that natural theology and natural law undermine the sufficiency of Scripture. But it's clear that Charles Hodge was not worried, not at least about this). Let’s move on, to Chapter 1 of Part I of Systematic Theology. Here Hodge has a fairly lengthy discussion of the innateness of the knowledge of God. (So, more page turning, I’m afraid.) Scripture teaches us of that there is a natural knowledge of God, which is well-nigh universal, and innate. (Hodge obviously has Rom.1 in mind, though while reference to this passage is made (I. 195) it is not made central to the discussion). While Hodge uses words such as ‘intuition’, he clearly has in view what Calvin earlier called the universal sensus divinitatis, spoiled by the Fall, but not eradicated by it. According to Hodge our minds possess various intuitions - of sense, of the intellect, of the moral sense, and (what is particularly of interest here, of course) of God. Such knowledge is both universal, and necessary; that is, it is not simply a matter of fact that all people have a sense of God, but that such a sense is part of the constitution of human beings. This is the ‘general sense of a Being on whom we are dependent, and to whom we are responsible…. This sense of dependence and accountability to a being higher than themselves exists in the minds of all men’ (195). This may, through the benefit of special revelation, and careful reflection, be refined to ‘the Christian sense’ of the word ‘God’, as in the ‘sublime idea’ that ‘God is a spirit, infinite, eternal and unchangeable, in his being, wisdom, power, holiness, justice, goodness and truth’. (I. 194) Hodge then expands on the idea of the universality and especially the necessity of this belief. He is particularly emphatic on the point that such a belief is not the result of a process of reasoning, though such processes can confirm and develop it, or the result of tradition. The belief as it stands is thus highly dispositional in character, a disposition which can be developed and fostered by the study of Scripture, and also by proofs for the existence of God. 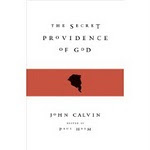 Hodge makes a number of points here: that the knowledge of God is a matter of the understanding, not of the reason; that proofs of God have as their aim to show what the being of God is – ‘that He is a personal Being, self-conscious, intelligent, moral. All this may lie inclosed in the primary intuition, but it needs to be brought out and established’. (202) He concludes the discussion by asserting that the various proofs of the existence of God complement each other and so are intended to have a cumulative effect, one argument proving one aspect of God’s character, another argument a further aspect, and so on. So, what does all this show? I shall conclude by underlining three points. First, that Hodge endorses the ‘common proofs’ of God’s existence and believes that they have real value. Its benefits are to be understood as expansions, clarifications, and articulations of a prior common, necessary, human intuition, an innate understanding that there is a God to whom we are responsible, an intuition to which Scripture testifies, in Romans 1 and elsewhere. Second, our belief in the existence of God does not therefore depend on the success of such proofs, but such proofs as are cogent arise out of this prior intuition. 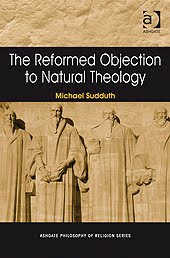 As Michael Sudduth has shown in his recent book, (The Reformed Objection to Natural Theology, (Ashgate, 2009)), Hodge is here part of a Reformed tradition going back through such as Turretin to Calvin and others. So, finally, Hodge has no objection to natural theology as such, though he does object to the rationalistic strategy for using such theology as developed by the Enlightenment.